Bettervue® improved visibility screen is standard allowing 10% better airflow. Strong composite cam-action lock and keeper with vent latches have passed ASTM F 588 Forced Entry Resistance Standard. Patented Roller Tilt Coil Balance system featuring constant force for effortless and maintenance-free operation of sash and better egress. 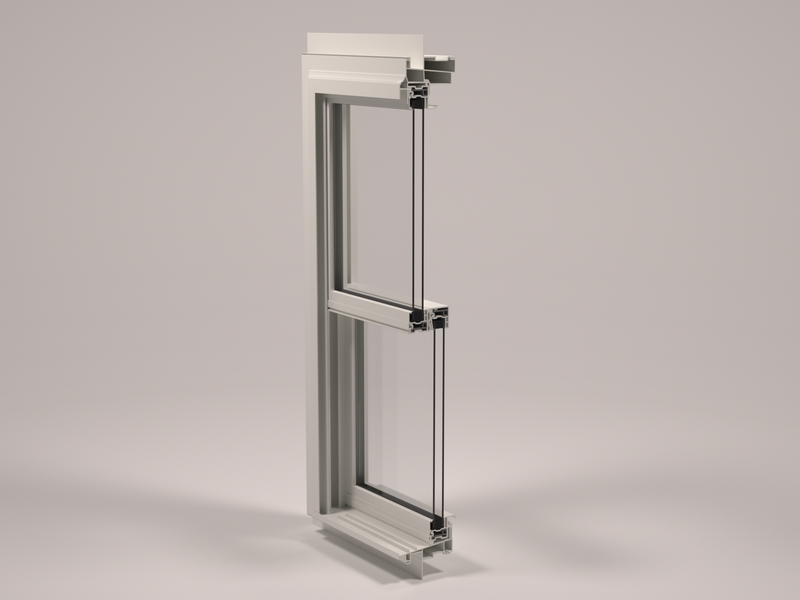 Tilt-in Sash for easy cleaning from inside your home. Patented Duralite™ butyl spacer with Cardinal's 366 LoE Glass is the standard Low E Glass. Patented Duralite™ butyl spacer is standard. Cardinal’s XL Edge™ Dual Seal Stainless Steel Spacer System is optional.